You guys… @veryheathmiller and I are going to a museum today…you know what that means! (2) A GOOD COUNTRY FOR OLD MAN. Deadline started with an Exclusive story, but now we all know — “Netflix Grabs Hold Of John Scalzi’s Sci-Fi Novel ‘Old Man’s War’ For Jon Shestack, Madhouse”. Netflix has acquired John Scalzi’s modern sci-fi classic Old Man’s War to develop as an original film. The novel is the first in a bestselling six-book series and is considered to be one of the best of the genre over the past two decades, nominated for a Hugo Award. Jon Shestack Productions and Madhouse Entertainment will produce. John Scalzi goes into a little more detail in his FAQ about the news: “Old Man’s War in Development at Netflix”. Hell, yes. One, because I would love to see an OMW movie. But also, two, Netflix is a place where a lot of fantastic entertainment is happening these days. It’s trying a lot of things and taking a lot of chances, and most people I know who are working with Netflix are thrilled about being there right now. It really seems like it could be a great place for the OMW universe. So is this a movie or TV series? It’s a movie. On your television! (4) ROWLING CHALLENGED ON SUPPORT OF DEPP. Amy Zimmerman of The Daily Beast calls it “J.K. Rowling’s Cowardly Defense of Alleged Abuser Johnny Depp in ‘Fantastic Beasts’”. … In May 2016, actress Amber Heard filed for divorce from Johnny Depp, declaring at the time, “During the entirety of our relationship, Johnny has been verbally and physically abusive to me…I endured excessive emotional, verbal, and physical abuse from Johnny, which has included angry, hostile, humiliating, and threatening assaults to me whenever I questioned his authority or disagreed with him.” In the wake of these explosive allegations, The Daily Beast’s Kevin Fallon wrote a piece titled “Amber Heard Says Johnny Depp Beat Her. It Will Ruin His Career. Just Kidding!”, in which he argued that Depp, like so many accused A-listers before him, was destined to emerge from this scandal professionally unscathed. …On the one hand, Rowling has inarguably found herself in a difficult position, and it’s hard to watch as female creators are asked to answer for the alleged misconduct and immorality of their male collaborators. In her statement, Rowling acknowledges the seriousness of the allegations against Depp, and appears to have taken the pressure to potentially recast seriously. But, make no mistake: she is supporting and defending Johnny Depp. And, in doing so, she is calling his accuser’s testimony into question. (5) QUICK SIP SHORT FIC RECS. I think I missed Charles Payseur’s “Quick Sip Reviews 2017 Recommended Reading List”, posted last month. This comes courtesy of my monthly recommendation column, The Monthly Round. 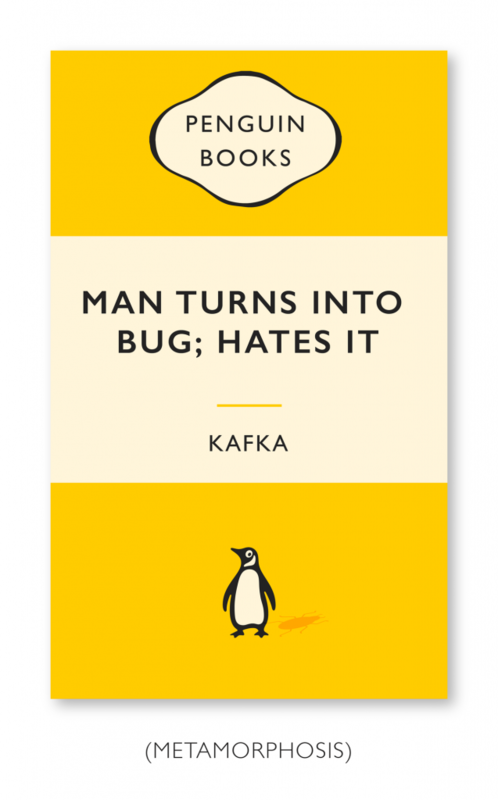 The rules are fairly easy, in that the stories must come from publications I regularly read. It’s the single greatest limiting factor for the list, because I do not read everything, but this prevents me from essentially cherry-picking stories from other publications. So there are my favorite stories published at the places I read regularly and have reviewed. There’s a whole wide world of other stories out there, but I did dearly love these. So I hope that, even with that limitation in mind, the list is helpful for finding some truly awesome short SFF. If you want more info on any of the stories, there are links to each or you can do a search of this blog to find my more in-depth reviews. (6) BLACK SF HONORED. The Root has named “The 16 Best Books of the Year by Black Authors”. Three of these books are of genre interest. #1 — Sing, Unburied, Sing: A Novel by Jesmyn Ward, which Amazon currently lists as the top-selling book in Magical Realism. #4 — Akata Warrior by World Fantasy/Hugo/Nebula Award winner Nnedi Okorafor. #9 — What It Means When a Man Falls From the Sky, by Lesley Nneka Arimah, a debut short-story collection from an award-winning Nigerian-American writer whose short stories hit fantasy, magical realism, science fiction, and horror. (8) JOIN THE VAMPIRE LODGE. An io9 exclusive! “Vampire Veronica Descends on Riverdale in a New Archie Horror Series”. Between Afterlife with Archie, Chilling Adventures of Sabrina, and the recent addition of Jughead: The Hunger, Archie Comics’ horror imprint is flying higher than Sabrina’s broomstick ever thought possible. 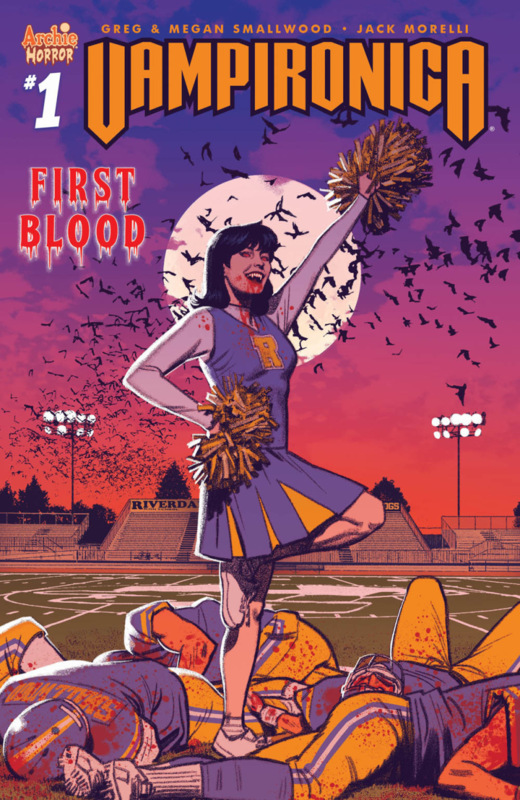 But there’s already another series coming to Archie Horror, and it’s got a bit of a bite to it…. Veronica Lodge, Riverdale’s socialite encounters a centuries-old creature of the night, who transforms her into a bloodthirsty vampire. Now she must descend on her unsuspecting hometown to quench her newfound hunger. Veronica now has to contend with this new transformation However, she is still the Veronica we all know and love. (9) GULP FICTION. Fainting cloths have been in much demand since news broke that “Quentin Tarantino Might Direct a Star Trek Movie” – io9 has the story. Apparently Tarantino recently pitched an idea for a Trek movie to producer J.J. Abrams, who loved it, and they’ll soon begin to assembling a writer’s room to flesh it out. If everything falls into place, Tarantino could be interested in directing with Abrams producing. This isn’t something that’ll be happening soon, though. Next up for the iconic director is his still-untitled 1969-set movie, which Sony Pictures just picked up. That already has a release date of August 9, 2019, so there’s no doubt that’s next for him. That leaves almost two years of time for a script to get written that could woo Tarantino into doing several things he’s never done before. He’s never directed a feature he didn’t write. He’s never done a scifi film. He’s never done a major franchise film. 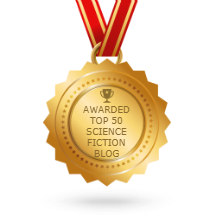 It was with no small degree of excitement that we greeted the news that there would be Retro Hugo awards presented at next summer’s Worldcon. Just on principle, we love Retro Hugos, and will take any opportunity to do a deep dive into the science fiction published in a particular year. The Hugo year of 1943 (which would cover works published in 1942) has some excellent novels to choose from. We will explore other fiction categories for these awards in later posts. Award in any category. The author of Last and First Men, Star Maker, and Odd John had published most of his major works prior to the first Worldcon, so even with Retro Hugos, there hasn’t been much opportunity to honour his works with the genre’s top award. Although Darkness And The Light is not one of his most well-remembered works, and although it has some flaws, it is still one that should be considered for the award. December 7, 1972 — The crew of Apollo 17, while on their way to the Moon, took a photo of Earth from about 28,000 miles. Born December 7, 1915 — Leigh Brackett, well-known sf author and screenwriter. George Lucas hired Brackett to write the first draft of The Empire Strikes Back, which she completed shortly before she died in March of 1978. (15) THE GOLD RUSH IS OVER. In “Business Musings: Sustainability”, Kristine Katherine Rusch argues that the market for independently published books has “matured” and that authors should expect much slower growth and lower incomes from here on. I’m talking about the changes in income to writers who were not rushing to every new way of doing something, writers who were not gaming algorithms, writers who were producing a lot, interacting professionally with their fans, and doing everything right. (16) SEVENTIES SF RARITY. 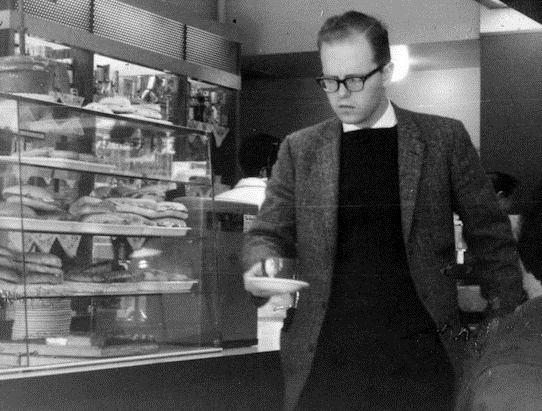 The British Film Institute tells “How lost British TV sci-fi Thwum was rediscovered”. 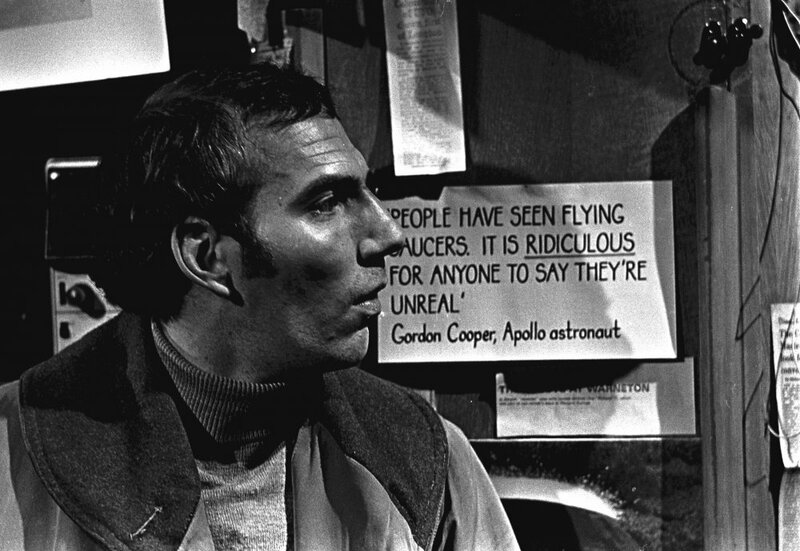 On 16 December 2017, BFI Southbank is offering the first opportunity for over 40 years to see Thwum, a sci-fi-themed 1970s rarity that had long been thought lost forever – and Pete Postlethwaite’s first TV appearance with it. At the time of Thwum’s broadcast in 1975, it was still common practice for TV companies to wipe much of their output, meaning that many television programmes from the era are now sadly missing. Since 1993, it’s been the mission of the BFI’s Missing Believed Wiped initiative to track down and screen material long AWOL from the official TV archives. Finds over the years have included material from television programmes such as The Avengers, Till Death Us Do Part, Dad’s Army, Armchair Theatre and Top of the Pops. The case of Thwum provides an interesting example of how missing UK TV material can be recovered…. (17) THE KING IS DEAD. Google’s general-purpose AI beats chess specialist: “Google’s ‘superhuman’ DeepMind AI claims chess crown”. It won or drew 100 games 4 hours after being given the rules of chess. Even so, one human chess grandmaster was still hugely impressed by DeepMind’s victory. “I always wondered how it would be if a superior species landed on earth and showed us how they played chess,” Peter Heine Nielsen told the BBC. (18) WHERE YOUR PIZZA DELIVERS ITSELF. There are limits: “San Francisco to restrict goods delivery robots”. Opponents are concerned about the safety of pedestrians, particularly elderly people and children. Walk San Francisco, a group that campaigns for pedestrian safety, wanted a complete ban. A range of companies have begun trialling small robots that can deliver food and other goods. They use sensors and lasers in a similar way to self-driving cars in order to navigate their routes. (19) ON A HOLE FAR AWAY. BBC tells where “Farthest monster black hole found”. The matter-munching sinkhole is a whopping 13 billion light-years away, so far that we see it as it was a mere 690 million years after the Big Bang. But at about 800 million times the mass of our Sun, it managed to grow to a surprisingly large size in just a short time after the origin of the Universe. The find is described in the journal Nature. The newly discovered black hole is busily devouring material at the centre of a galaxy – marking it out as a so-called quasar. (20) PETRIFEYED. They say it may not be possible to find one any earlier: “Researchers find ‘oldest ever eye’ in fossil”. An “exceptional” 530-million-year-old fossil contains what could be the oldest eye ever discovered, according to scientists. The remains of the extinct sea creature include an early form of the eye seen in many of today’s animals, including crabs, bees and dragonflies. Scientists made the find while looking at the well-preserved trilobite fossil. These ancestors of spiders and crabs lived in seas during the Palaeozoic era, between 541-251 million years ago. (22) SHOULD THAT BE PETREON? Another Patreon critic heard from.